Each doll is designed with its own personality and its own cute look. 8.5" is a size that's easy for small children to hold & carry. Safety tested and approved for children age 2 and up. Available in African American. This adorable Lil' Cutesies doll also has movable legs and arms, and hear head is moveable as well. 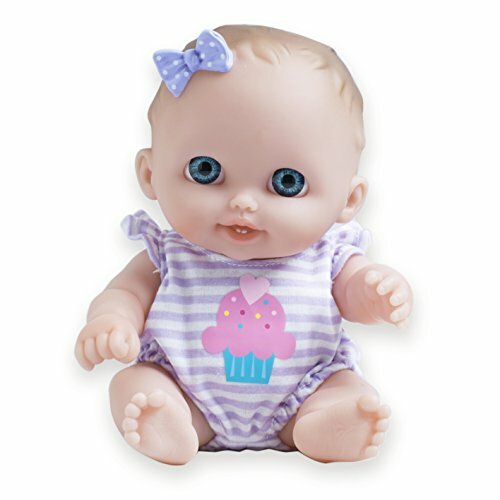 Made by JC Toys - the only baby doll manufacturer with over 30 years' experience with real-life baby dolls. Proud to be designed by Berenguer.